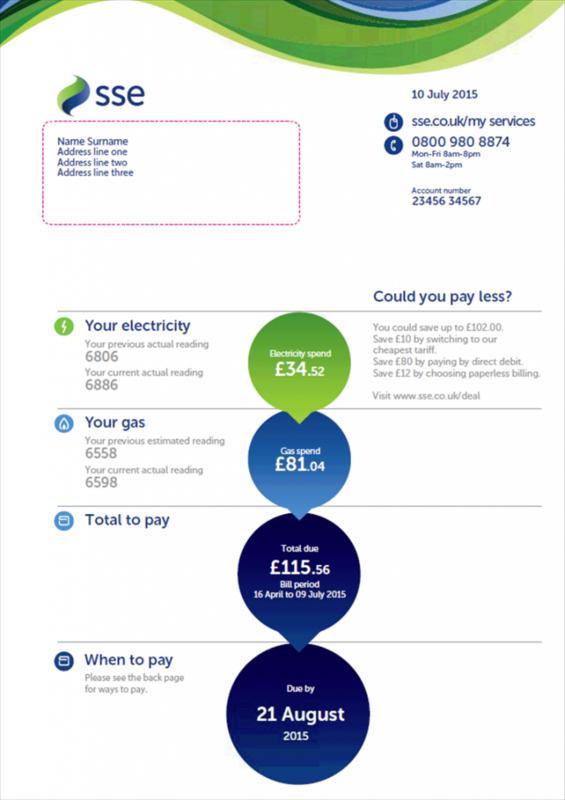 Did you know that in the last few years SSE made an extra effort to simplify their bills for their customers? This guide will tell you everything you need to know about your SSE bill, including translating some of that complicated jargon. The first page of your energy bill will include most of the critical information regarding your energy. This includes the name of your supplier if you’d forgotten, your account number which is essential for getting in touch with your energy company and the number you can reach them. You can also find your bill information here, which breaks down how much you need to pay for your electricity and your gas, as well as your total payment and when this needs to be paid. In other words, it gives you the most immediate information you need straight away. This simplistic design was created around 2015, and was applauded by many different experts including Which? Executive Director Richard Lloyd. 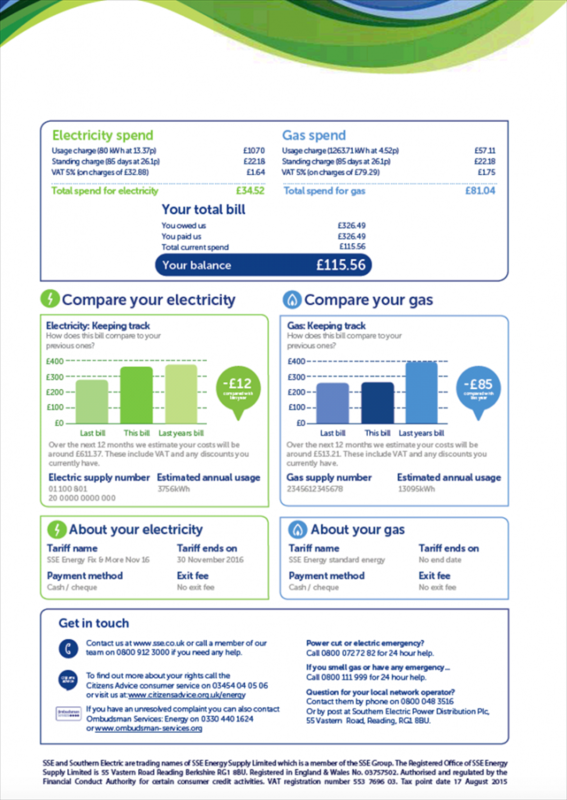 The second page of your SSE bill contains information concerning a breakdown of your energy spend, as well as comparing your energy usage. First, you’ll see at the top of the page that there are two sections marked your ‘electricity spend’ and your ‘gas spend’. You’ll find facts and figures regarding your usage, which consists of your usage charge with your units of kWh, standing costs, VAT and a breakdown of your bill. For instance, your total bill is what you owe your energy supplier, what you paid them and the total current spend. Below that top section, you’ll see how your electricity bills compared to the last year and a similar one for your gas. This helps you to understand and track your energy consumption, which can help when it comes to trying to lower your energy bills in the future. MPAN = This unique number identifies the electricity supply at your property, which is helpful when switching supplier. MPRN = This unique number identifies the Gas supply at your property, which is helpful when switching supplier. The final parts of this page concern the tariff information. This tells you which tariff you are on when it ends, your payment method and any exit fees you might have. Tariff ends on = When your contract ends. Exit fees = A fee you pay if you switch before your contract ends.